Buying an old rental car is often fraught with risk, but also a bargain. 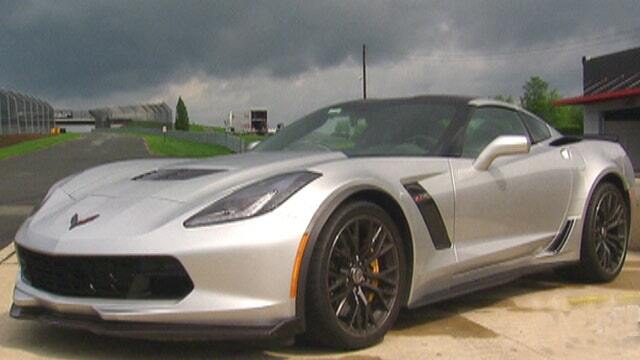 Then there’s the Hertz 100th Anniversary Chevrolet Corvette Z06. The rental car company ordered 100 of the 650 hp sports cars last year and will soon be offering them for resale at a price higher than you’d pay for a brand new one. The company told Jalopnik that the yellow and black automatic transmission coupes will likely sell for $90,000 to $100,000 each, compared to a starting price of $82,990 for a brand new yellow one with a stick. The cars all have less than 10,000 miles on their odometers, however, thanks to a 75-mile free limit imposed on the rentals with a $.75 per mile charge above that. The premium is thanks to their rarity and expected future value. Hertz’s original “rent a racer,” the 1966 Ford Mustang Shelby GT350H sells for as much as $200,000 today. Hertz says the cars will start showing up at its sales locations soon. And if you&apos;re wary of buying a beat-up rental car, there&apos;s one part that should definitely be fine. Hertz removed the chin spoilers off of the cars while they were in service so they could clear the tire spikes at the rental lot, but will replace them before the cars go on sale.